It's an event that screams for nicknames. Lydia “Whistlin' Lyd” Hutchinson you'll meet in a moment. Right now, let's talk about Tud. “Tud” is the nickname. “Tud” Kent. He regularly ran the mail from Ashton, Idaho, to the Railroad Ranch in Island Park, Idaho, a journey of about thirty miles. In 1917, he and four others founded the American Dog Derby. He won the first race that year, a 55-mile slog through deep snow and a raging blizzard from Ashton to West Yellowstone, Montana. In the subsequent ten years, he won five more times, each time in a blizzard. They had better blizzards back then. This year, those who participate in the 100-mile race will do so in Tud's honor – the race now bears his name. But there's room for the new at the American Dog Derby, too. The 60-mile race, for instance, is named this year for Ray Gordon, of Rock Springs, Wyo. Since 1995, he's won five races at the American Dog Derby, a record no modern racer has bested. He also boasts of running the Iditarod. Twice. Best I've done is hook our wiener dog up to the kids' sled for a race down our suburban street. So go to Ashton this year to see the real thing. Races this year kick off Feb. 18 at about 7:30 am (I'm fudging a bit on the time here, get there early to get a good view and so you don't miss the race). Races go on through Saturday the 20th, with plenty of events in town to keep you entertained. For more information on this year's events, go to www.americandogderby.org. Now, on with the story . . . The sun is up, but only just. Even the stubbiest buildings cast long shadows across the snow turning it dark blue, a stark contrast to the brilliant white where sun and snow meet. Grain elevators stand as a rampart of worn wood and cold grey steel along the half-buried railroad tracks. Icicles on eaves catch the sun and shine like jewels. The worn brick buildings of Ashton, Idaho, lie somnolent in the deep snow on a cold February morning. Sound has odd qualities on cold, bright, crisp mornings like this. Without the rumble of traffic, scarce enough on this city’s streets, and without the whip of wind, common enough here if the leaning trees tell the truth, the sound in Ashton’s air this morning reaches the ears, descends the spine, sets nerves alight. But no barks, no growls. Instead, a cacophony of yelps and wails and whines from throats and bellies. Many dogs. Their cries build a dome of sound over the intersection of Main and Fifth streets. 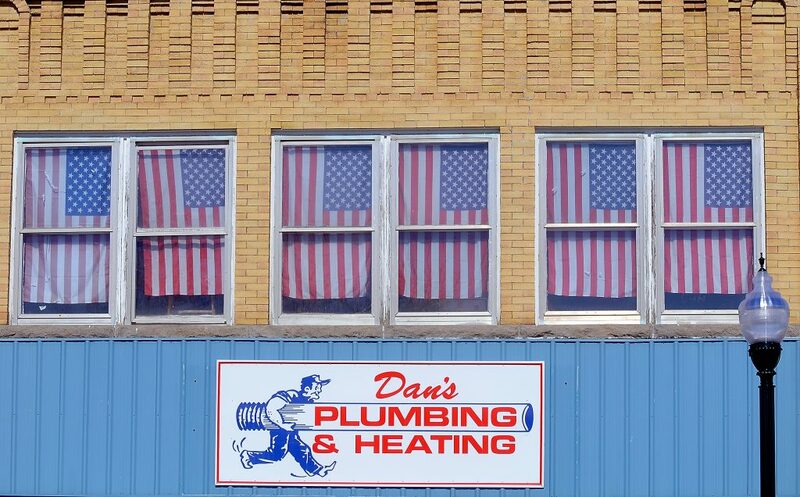 Underneath lie strings of vehicles and trailers, the odd snowmobile, and clusters of men, serious men, clad in warm hats and light brown Carhartt snowsuits, the de facto uniform of the day. Next to – and sometimes crouched under – the vehicles lie the dogs. Not big dogs. Not carbon copied pet-store dogs, though some are black as carbon, others mottled white with brown and grey; a few whiter than the snow they lie on. But all are lithe. Alert. And, like performers in a cold green room liberally spotted with pee, they are anxious. Anxious to be underway. One yelps, the others join in. Cues for their performance lie all around: rope lines and harnesses, humans clad for the warm, sleds with numbered flags tied to them. And the sun is climbing higher. It’s time to go. But there’s snow today. 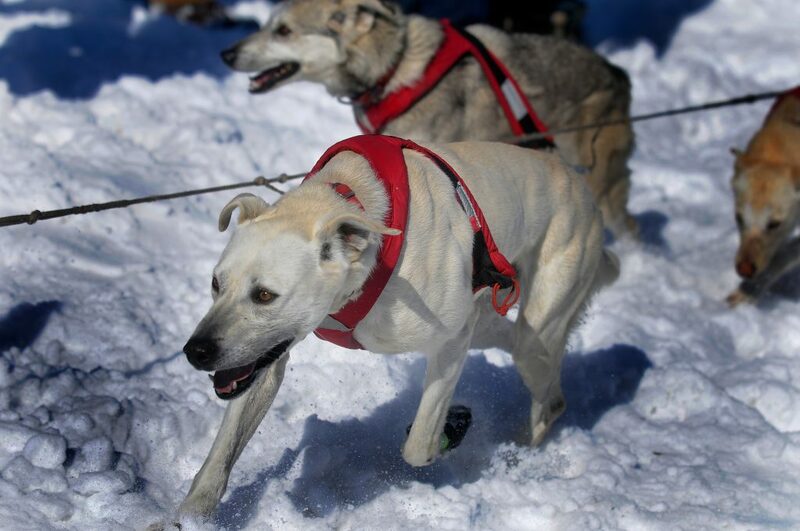 And the lifestyle thing – the sleds, the dogs, the cold weather, the competition, the freedom – is sled dog racing. 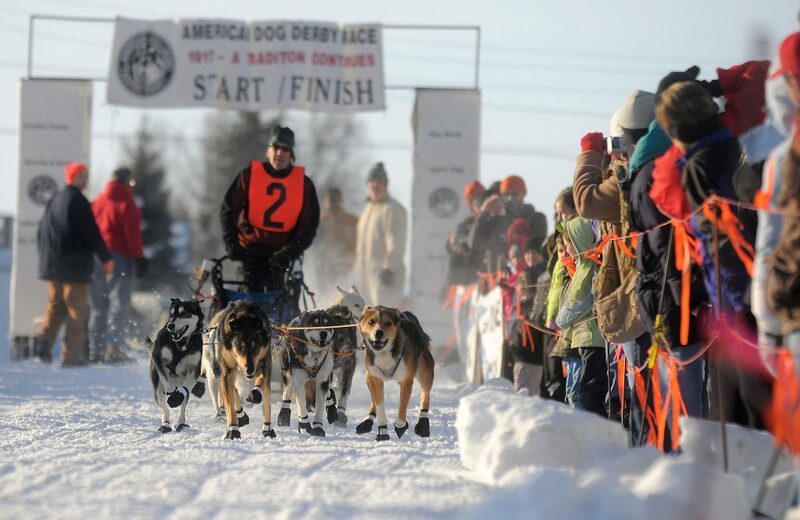 Sled dog racing has been part of Ashton’s history nearly since there was an Ashton to have history. The city was founded, in part, in 1906 by the Union Pacific Railroad when residents of the nearby village of Marysville decided against having the iron beasts rumble through town on the way to Yellowstone National Park. Two stories vie for first place in the American Dog Derby’s origins. 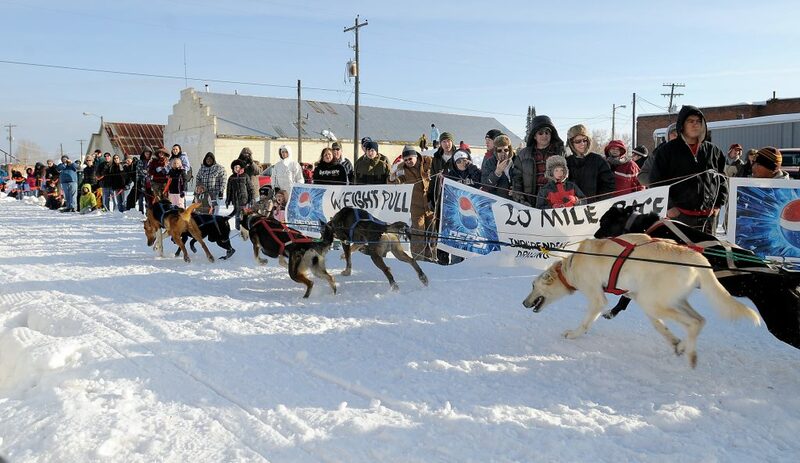 The more folklorical story, according to Neal Wickham, a local historian, is that a popular Ashton barber named Jay Ball brought sled dog racing to Ashton after reading about the All-Alaska Sweepstakes in Nome and the Hudson Bay Dog Derby in Le Pas, Manitoba, Canada. Wickham and David Crowder, another area historian, agree it’s more likely that the Union Pacific Railroad played the largest role in starting the derby as a way to promote travel on their newly-constructed rail line from Ashton to Yellowstone National Park. The railroad advertised the event heavily and even brought in special trains of spectators. Early races saw as many as 10,000 people pour into this town of little more than a thousand to watch the races. The races remained popular in Ashton, to varying degrees, through the 1950s, finally petering out in the early '60s. The races were revived in 1993, however, and have grown steadily since. The 2009 races attracted 25 teams from throughout the United States and Canada. As for the derby's beginnings, it’s clear the first race, held in 1917, was a success. The event attracted 16 teams, all of them local. Many local teams were competitors who ferried mail, freight, and people to and from the high country in Fremont and Teton counties, so it was natural for them to compete in a race in the hopes of winning more clients. The first race, on the unplowed railroad bed from West Yellowstone, Montana, to Ashton, Idaho, proved grueling, according to Wickham. 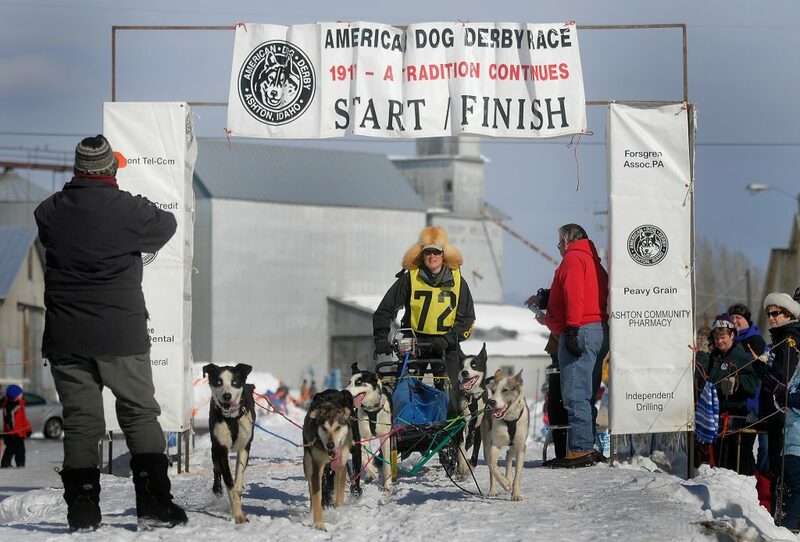 Heavy snow prevented all but four of the 16 registered teams from starting the race, and continued snow and wind along the 55-mile route forced the remaining four teams to hole up in a fish hatchery overnight, 15 miles from the finish line. 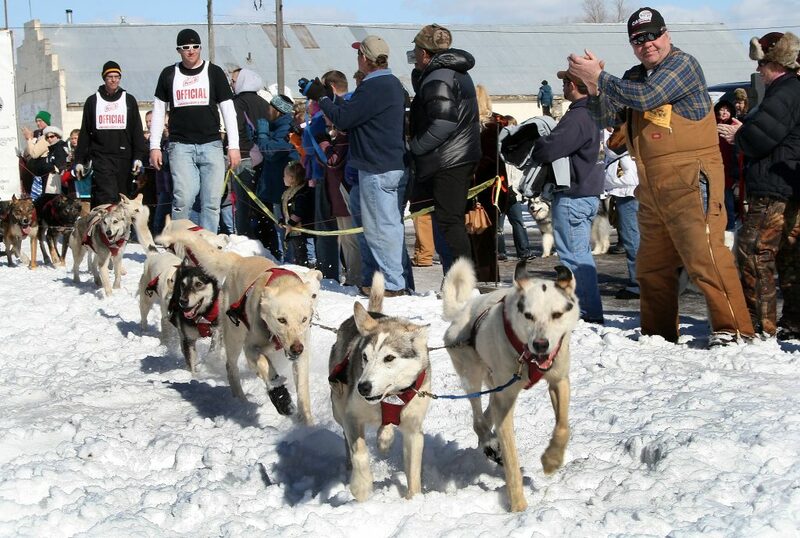 Spectators in Ashton waited, meanwhile, for the mushers to arrive. 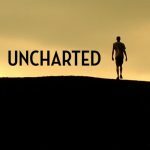 When the teams finally raced into town the following morning, there were no crowds to welcome them. Tud Kent, a Union Pacific employee, won the first race, and would go on to win five more, fighting through a blizzard each time to win. He became known as a “blizzarder,” bragging that wind and snow couldn’t stop him. The derby, over the years, has introduced other colorful characters as well. In 1922, the railroad made a celebrity of Lydia “Whistlin’ Lyd” Hutchinson, an Ashton native and participant in the derby that year. “Distinctive in her parka and velvet pants,” according to historian Crowder, Whistlin’ Lyd (who got her nickname because of her then-unladylike habit of whistling popular tunes) participated in several derbies and appeared in advertisements, newsreels, and newspaper articles throughout the United States and Europe. Hutchinson died in 1930 of pneumonia, and the 1931 derby was run in her honor. 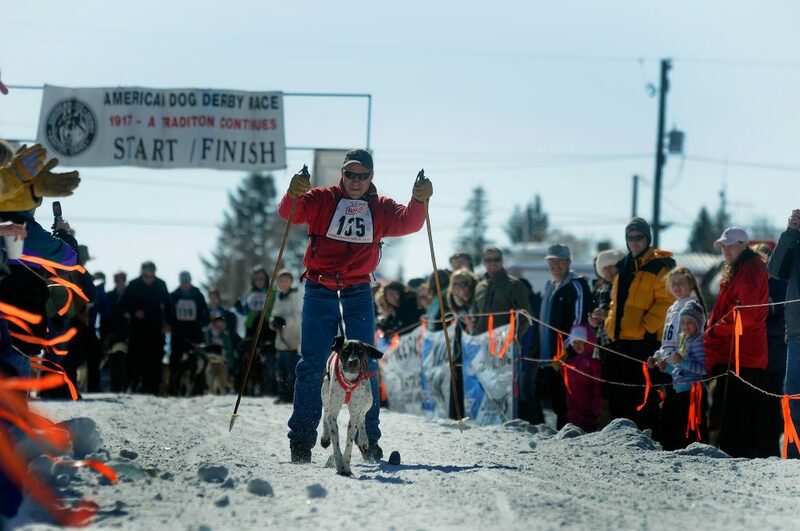 Today’s mushers are happy to carry on with the derby’s traditions. “It’s hard to pass up the history here,” says Fowler. “It’s foolish not to participate. You get to meet Iditarod runners here. It’s fun to see how your dogs measure up to theirs.” The dogs, oblivious to history, nevertheless sense the excitement. 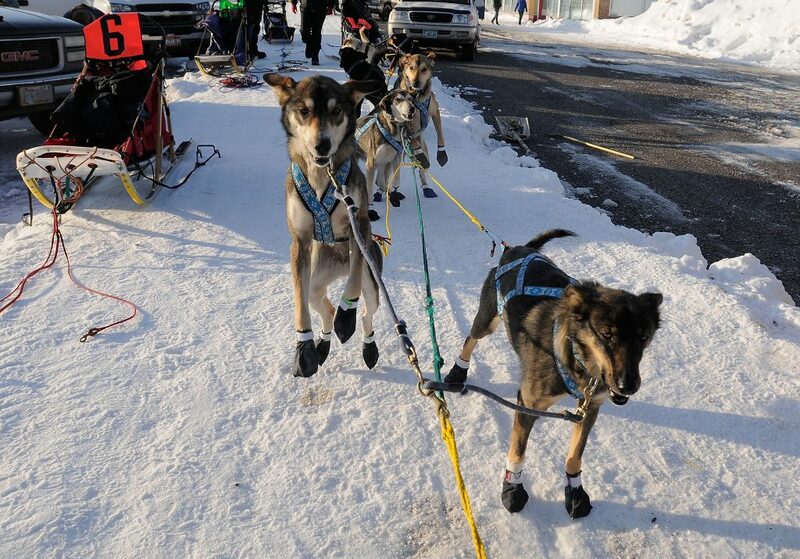 Once hitched to the sled and brought to the starting line, Fowler’s dogs erupt into even louder yelps and whines as they strain at the brakes – some mushers even tie their sleds to their vehicles to keep the dogs from taking off prematurely. Two of Fowler’s dogs take turns leaping over each others’ backs in anticipation of the race. The dogs perform at their peak in cool weather, but with the sun shining on even a cold day – below freezing but above zero – the dogs overheat. The solution is counterintuitive: “For the dark-haired dogs, I put on white coats,” Fowler says. The coats reflect the sun’s rays rather than absorb them, keeping them cooler. 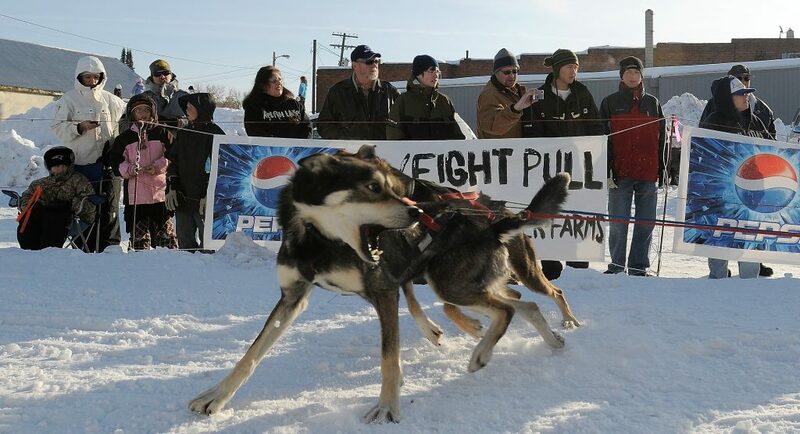 Challenges at other sled dog races are sometimes just as unconventional. A few years ago, a lone bull on the course of the Attaboy 300 (a race in central Oregon) kept several dog teams at bay. 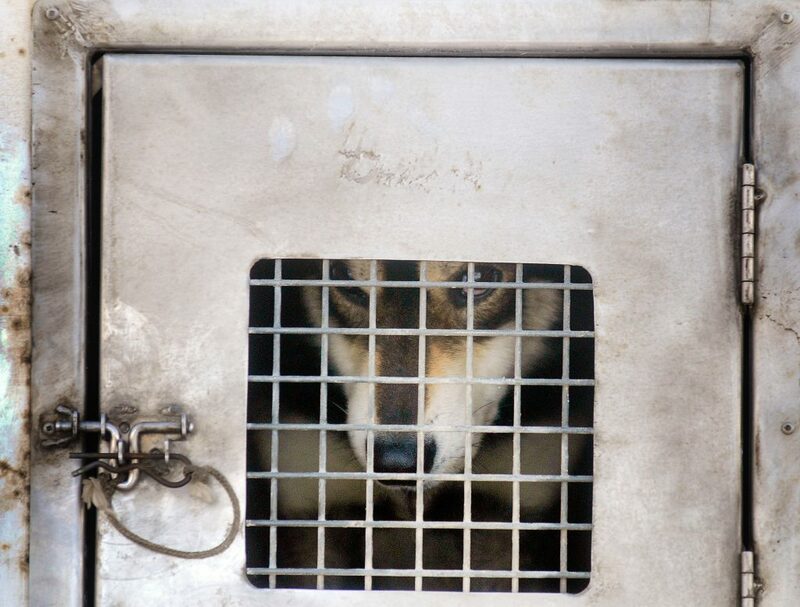 “That bull wasn’t happy at all seeing what he thought were 20 packs of wolves coming into his territory,” Fowler said. 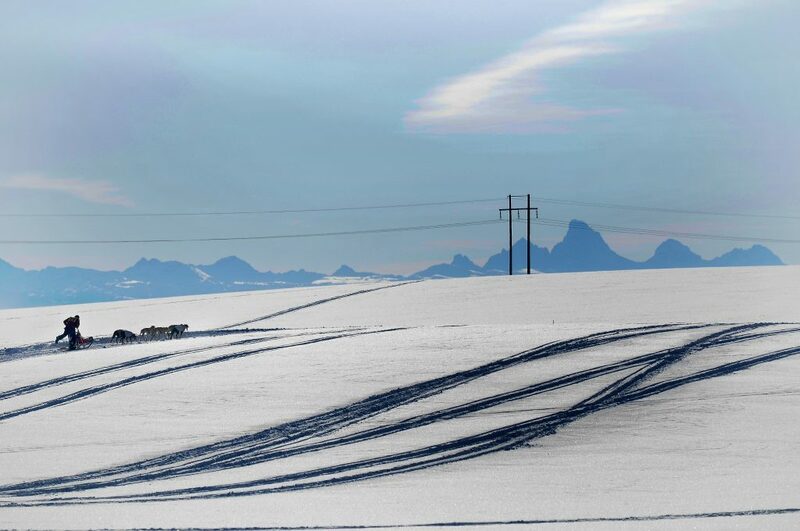 “We had a bunch of mushers ready to make hamburger” until one team broke from the pack and shot across the bulls’ field, shooing it to greener pastures. That brings us to Clark Lenz, Ashton area resident and snowplane enthusiast. 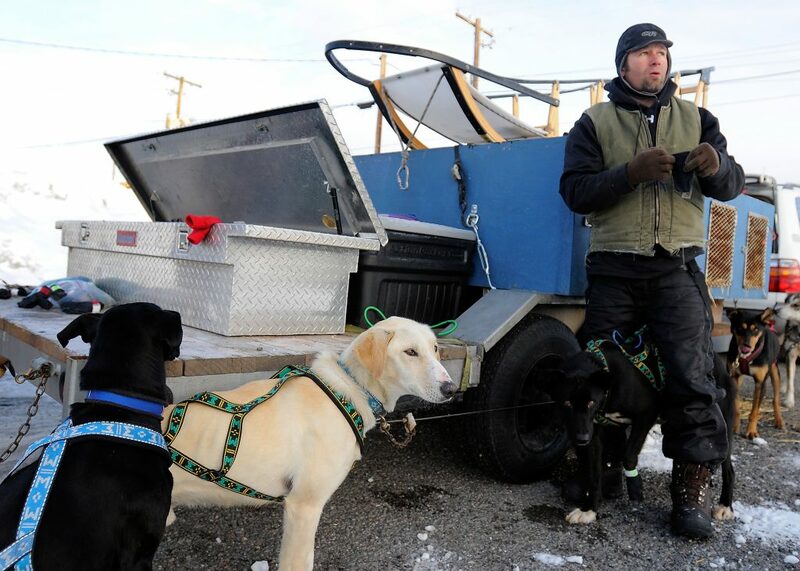 He brings one or two snowplanes to dog derby events every year, showing off the rare machines to others who get gleams in their eye similar to Fowler’s. 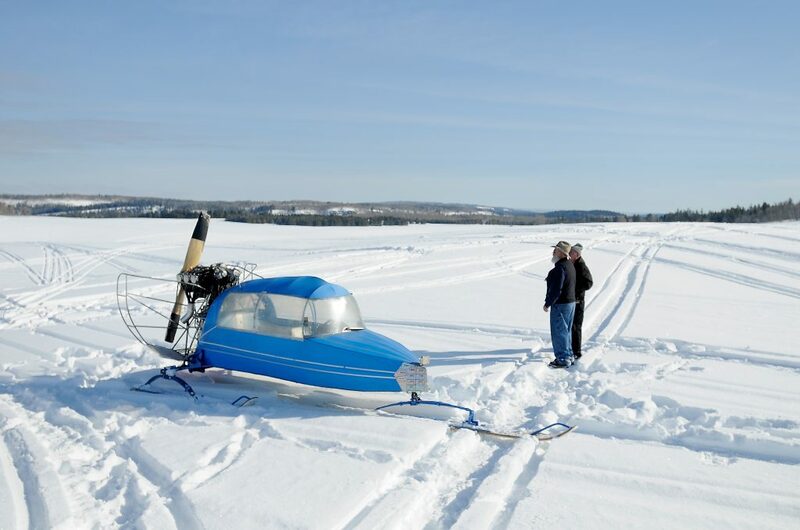 This year, he parked his snowplane at the point on the trail where the 20-mile racers turn around. Tinkering with and driving the machines involves “a lot of brute force and ignorance,” Lenz says, laughing. Maintaining the machines is difficult, as spare parts for the machines – particularly their engines – are scarce. “Do you know how hard it is to find a really true, straight piece of wood in this country these days?” he asks, tapping the snowplane’s 12-foot-long wooden lead ski. And replacements for the engines’ magnetos are even harder to find, he adds. Preparing the trails for the race is fairly simple, according to Frank Scafe, a track setter for this year’s event. “When the time gets close, they just stop plowing the middle part of the road,” he says, laughing. 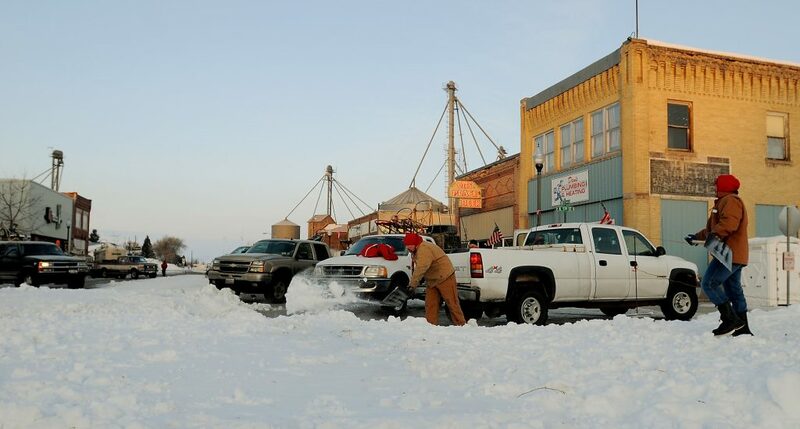 “We hope for a little snow after that.” To make up for gaps in snowfall, the city also plows mountains of snow into a vacant lot on Main Street. Just before race day, volunteer crews with trucks and shovels scoop up the stored snow and spread it out where necessary. Some snow is compacted by volunteers in boots, while the rest – including the trail through town and potato fields to the east – are groomed by the Fremont County Parks and Recreation Department. Once into the Targhee National Forest about ten miles west of town, mushers on the 100-mile race follow groomed snowmobile trails to Cave Falls in Yellowstone National Park’s southwest corner. While the racers are gone for the day, the trails in Ashton don’t sit idle. To keep folks in town long enough to see the racers return – usually about two or three hours after they leave – derby organizers hold other events as well. Most popular are the mutt races, in which area children bring their own dogs for solo races down a 200-yard course. 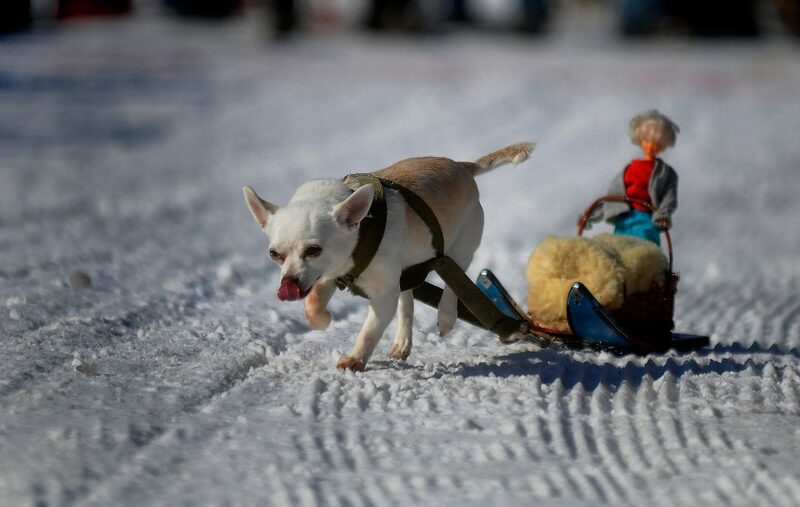 The event always begins, at least in the past few years, with the appearance of Klondike Barbie, pulled on a miniature sled by a Chihuahua. What the rough-and-tumble organizers of the first race in 1917 would think of that is anyone’s guess, but that their race has been revived would undoubtedly please them. It is cold, especially in the early morning before the race begins. Dress in layers and bring hot pads to keep in your pockets to keep camera batteries and your hands warm. There's limited food in the immediate area, so some granola bars or other dry snacks with water bottles is probably the easiest. 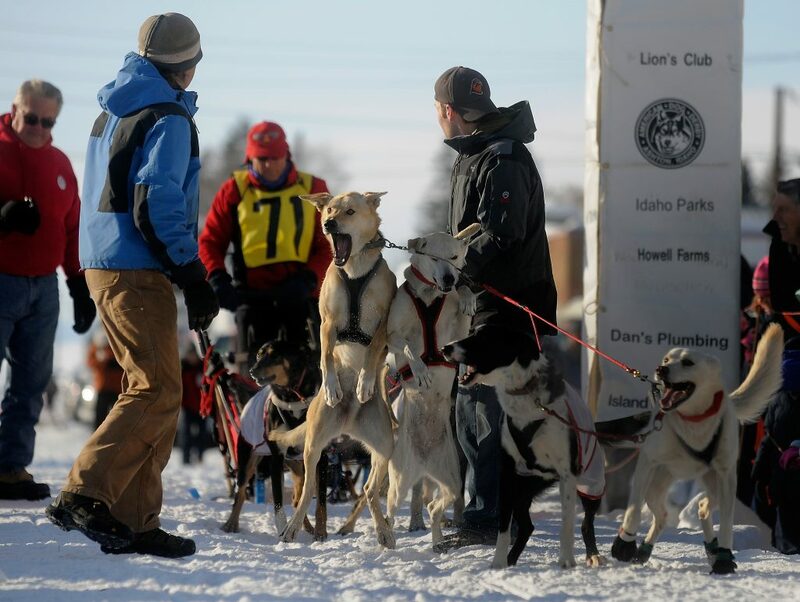 The American Dog Derby is held annually in Ashton, Idaho. For specific dates, check out the race website listed above. Teams leave Ashton both Friday and Saturday the weekend of the event, starting at 8:30 am, for races that vary in length from 20 to 100 miles. 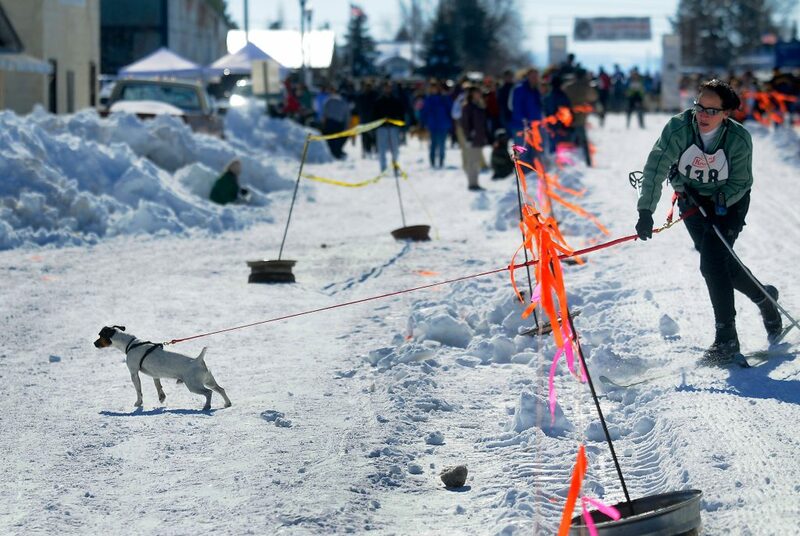 Most people watch the teams leave, then stay in town for festivities ranging from the mutt races to weight pulls and snowshoe races. Others head east out of town on Idaho Highway 47, which parallels the course for much of the way. Good photo opportunities exist on the highway just after it curves to the north and the trail crosses it. More opportunities exist along the Cave Falls road, which extends further east to the timberline. At the timberline, the road is inaccessible to vehicles. While You’re There: Stop at Ashton’s Frostop drive-in for homemade barbecue sandwiches and root beer floats. 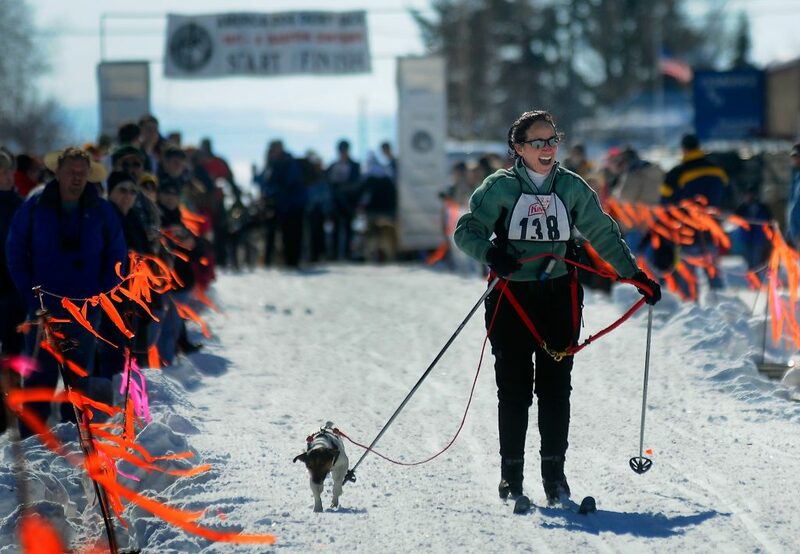 Race spectators are also invited to the awards banquet at the Ashton Community Center Saturday night – eating dinner with the mushers can be a lot of fun.